Thanks Music K-8! You are an invaluable resource for my music program! I wouldn't change a thing. I love your music, I use it in all my concerts, and the kids love to perform it. The parents are always raving about my shows. I just want to say thanks again for making such a wonderful product. I use the magazine throughout the year, not only in my weekly classroom lessons, but in building programs (musicals) throughout the year. You all make my job so much easier and enjoyable! Keep up the fantastic work! You are great. Just keep up the great work. Twelve years ago, I came from High School/Middle School to Elementary and found Music K-8. I don't know what I would have done without all of the songs and suggestions from other teachers. I just want to thank you for taking the guess work out of concert music searching. I can always depend on your magazine for great teaching tools. I'm really burned out and don't know what I'd do without you! Thanks so much. Your music is wonderful. Your accompaniments are top-notch. We rely on your publication for a good portion of our performance music. Your songs are always well-received and enjoyed by our community. Thanks, and keep up the good work! Love the videos on the Video Network. 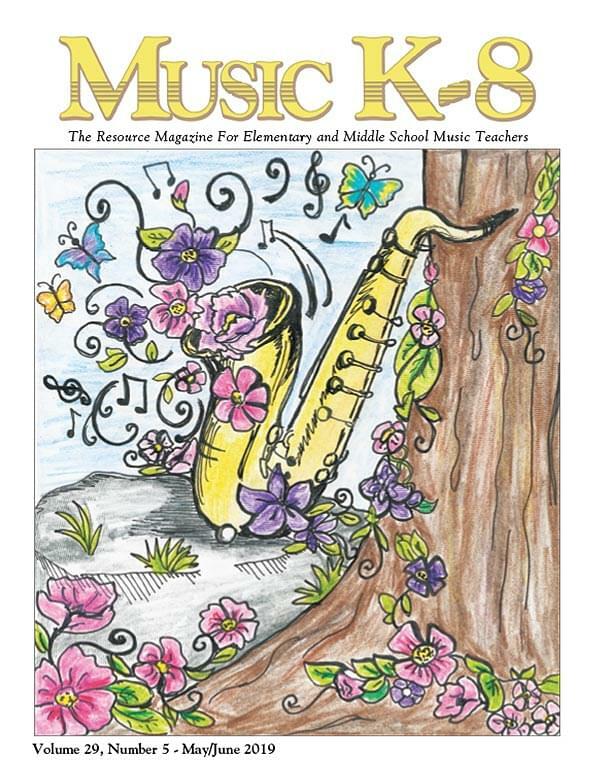 I've been a fan for years and am back teaching K-5, so one of the first things I made sure of was a subscription to Music K-8. My students are addicted to earning recorder "belts" and enjoy the wonderful orchestrations to the ten pieces in Recorder Karate. I love that you often include Boomwhacker features. I really appreciate Music K-8. It is such a relief knowing we have new music to choose from for every month and every teaching situation. Plus, the prices are so reasonable, I just don't know how you do it. Your magazine has been a tremendous help. Thanks a lot, and keep up the good work. I absolutely love your magazine and your site. I've used many ideas from the Idea Bank and made great use of your music. I've had parents comment after our programs, "We just love coming to your concerts!" It's not because of me - only that I choose your music. I am grateful for this magazine and to its talented musicians and writers! It has enhanced my ability to teach the values and concepts that I think young children should be singing about, while still allowing them to enjoy the melodies, beats, and rhythms that they enjoy listening to and singing. Keep up the good work! I am a lifetime fan! I think you have done a fabulous job of offering a wide variety of topic options. Thanks for your commitment to providing quality music to our students. The kids always enjoy your music. Keep up the good work! You guys are great. I have been a subscriber off and on for a number of years. Music K-8 is a reliable resource that has helped me many times. I can always find the "perfect" song there. Thank you for putting out such an excellent product. I am always really excited when I see the big envelope in my school mailbox! More than half the music in my programs this year was music from Music K-8. It is on the top of my requisition list every year! Thanks! I LOVE Music K-8 music. It has made my life so much easier, and the kids love the songs! You guys rock! You guys do amazing with the magazine. I love it! The MusicK8.com Mailing List has been a godsend to me. Thank you for providing such a wonderful forum.